Cleaning your car isn’t as simple as you think. Poor technique and incorrect materials could damage your car. Here are nine common questions Filipinos ask every time their rides need a wash.
1) Can I use dishwashing soap to wash my car? No. While dishwashing soap is great for removing grease from plates, it’s far too concentrated and rough on car paint. Dishwashing soap can fast-track oxidation and remove your car’s luster, as well as break down its wax coat. 2) Can I use a wet table cloth to wipe down my windshield? No. Common table cloths have rough surfaces, which can scratch a dirty windshield. 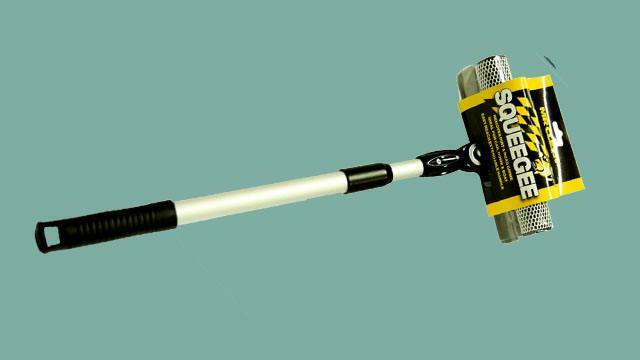 Instead, you’ll want something like the Mr. Clean Microfiber Squeegee for a better clean and scratch-free glass. 3) What’s a good way to give my car a quick clean before I head off to work? 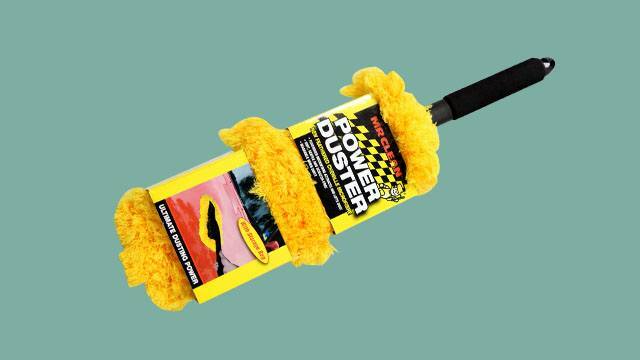 A good duster, made with materials that won’t scratch your car, is best for a quick clean.Try the Mr. Clean Power Duster to give your ride a quick clean, but always remember to give it a good tap frequently to remove dust buildup in the duster. 4) Is it okay to use just one bucket of water for washing my car? A big no. By using the same bucket to clean your car and rinse your cleaning tools, you risk scratching the car's paint by rubbing the dirt and debris back in. Use at least two buckets—one for suds, the other with clean water for rinsing. A hose with running water, of course, would be best. 5) Can I use the same wash towel for the entire car? No. Use different colored cloths for each area of your car to reduce the risk of scratching it. Use three separate cloths for the wheels, the body, and the glass. 6) Can I use a scouring pad to remove tough stains? No. You don’t want anything rough to rub against your car’s panels and paint, especially something like a scouring pad. 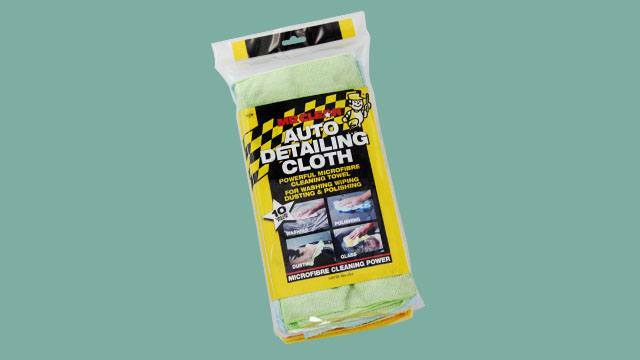 For a smoother clean, use a cleaning cloth designed specifically for cars, such as the Mr. Clean Auto Detailing Cloth. 7) How should I clean my car? Top-bottom or bottom-up? Always start from the top and work your way down. The harshest dirt and grime are found on the bottom in areas like your wheels and fenders. If you start from there, you risk transferring those gritty substances onto the rest of your car, which can scratch it. 8) How come my car doesn’t dry properly after a wash? Once your car is clean, you need to wipe it dry right away to avoid those unsightly dry water spots from forming across your windshield and paint. Keeping a Mr. Clean Quick & Dry Chamois handy when you clean your car will help prevent this from happening. 9) Is it important that I wax my car? Waxing after a wash offers a few benefits. Aesthetically, it gives your car a better shine. But more practically, it protects your car from airborne contaminants, like acid rain. Moreover, the smooth surface of a waxed car lessens the chances of stones chipping the paint. 10) Do I need to bring my car to a car wash to get it waxed? No, you can do this yourself. Just be sure you know what you’re doing, and have the right tools for the job. Don’t use just regular old towels. 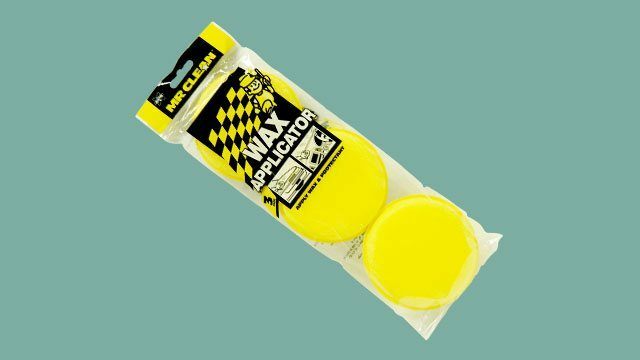 Grab a pair of Mr. Clean Wax Applicator Pads before you "wax on, wax off." 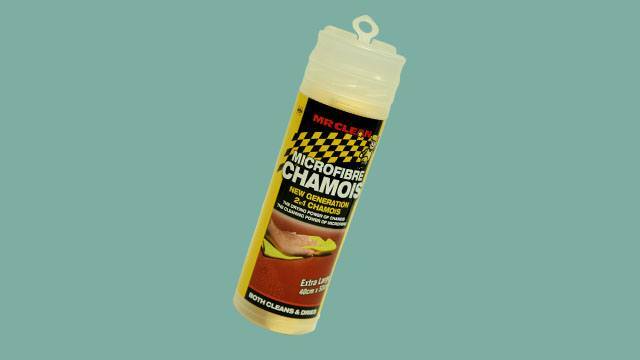 Mr. Clean’s range of products for cars includes micro fiber cloths, squeegees, chamois, detailing cloths, wax applicators, and more. Mr. Clean products are available in all Ace Hardware, selected SM Hypermarket and Supermarket stores nationwide. To find out more, visit Mr. Clean’s Facebook page. This article is created by Summit Storylabs in partnership with Mr. Clean.